Products of the High-Precision Weapons Holding (part of Rostec Corporation) are well known all over the world, including in the Gulf countries. Suffice it to recall that in 2014, the Kingdom of Bahrain became the first customer of the complex ‘Kornet-EM’. This made the army much fighting capacity, military power of the Kingdom has increased markedly. However, the Holding has a worldwide reputation not only due to the complex ‘Kornet-EM’. Russian brands like ‘Pantsir-S1’, ‘Kapustnik-B’, ‘Konkurs’, ‘Metis-M1’ and others made by High-Precision Weapons Holding are determining technological and combat future of high-precision systems all over the world. This Russian holding is the primary designer and manufacturer of Russian high precision weapons is engaged in producing the world’s best types of high precision weapons. 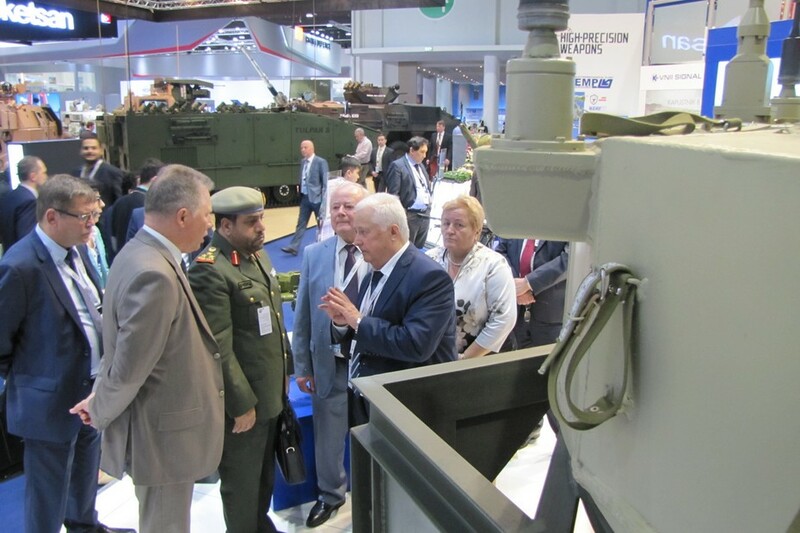 The newest defensive sensation from High-Precision Weapons Holding was the presentation of anti-aircraft artillery weapon system ‘Pantsir-ME’ in Saint-Petersburg (the end of June this year). The creation of new innovative defense complex confirms the fact that Russian High Precision Weapons Holding is one of the world leaders in creating modern weapons. There was an absolute sensation in the world of military innovation. The system provides the ultimate protection against modern air threats, including small-size unmanned aerial vehicles. The naval missile and anti-aircraft artillery weapon system ‘Pantsir-ME’ developed by the Tula KBP (part of the High Precision Weapons Holding) provides the ultimate protection against modern air threats, including low-flying and small-size unmanned aerial vehicles. The naval weapon systems ‘Pantsir-ME’ and its forerunners ‘Kashtan’ and ‘Kashtan-M’ developed by the Tula KBP (part of the High Precision Systems Holding) are the only systems in the world that combine a powerful artillery armament, an effective multimode missile armament and an integrated radar-optical armament control system in a single turret mount. Equipped with two types of armament (which is already a considerable advantage), these systems have better characteristics of each individual armament type as compared to their analogues.